Professor Zug teaches Family Law, Advanced Family Law, and American Indian law. She has published numerous articles on family law, immigration law and policy, and American Indian Law in publications including the Yale Law Journal, UC Davis Law Review, the BYU Law Review, The University of Kansas Law Review, Queen’s University Law Review, the Virginia Law and Policy Review, and the William and Mary Journal of Women and the Law. 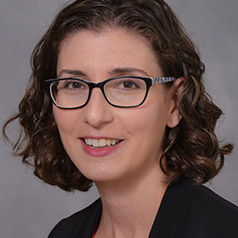 Zug’s research focuses on the intersection of family law and immigration law and she recently published a book entitled Buying a Bride: An Engaging History of Mail-Order Matches, which was reviewed in The New Yorker, The Atlantic and The Times Literary supplement. Her op-ed on VAWA’s mail order bride amendments was published by The New Republic Magazine. In addition, her articles “Separation, Deportation, Termination” and “Should I Stay or Should I Go,” which exposed the growing practice of separating fit immigrant parents from their American citizen children, garnered national attention. Professor Zug has been quoted in numerous media outlets such as The Associated Press, CNN.com, The Guardian, and BBC Radio. She has also advised national organizations such as The Women’s Refugee Commission, The National Indian Child Welfare Association and The Southern Poverty Law Center on the legal issues facing Native American and immigrant families. In addition, she has been an invited speaker at numerous universities including the University of Maryland, Ohio State University, Queen’s University, Duke Law School, Wharton Business School, American University, and Washington University, St. Louis.